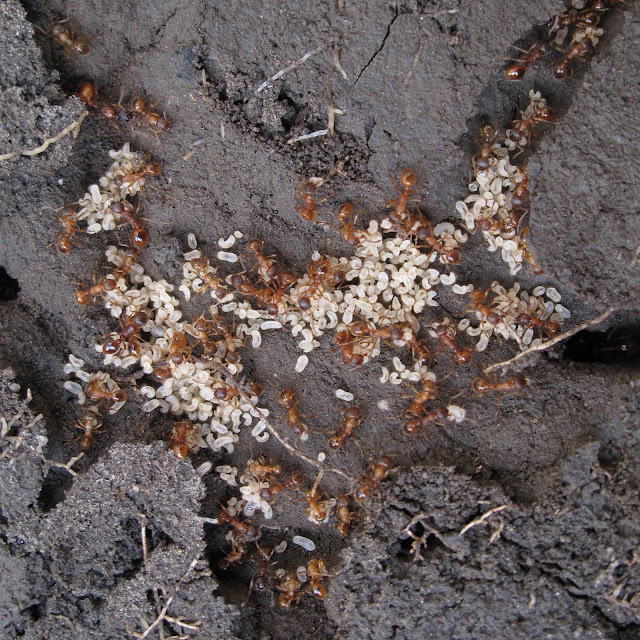 We found this Red Ant, Myrmica sp., nest under a stone. The chamber in the middle of the photo had many workers tending larvae, and what appeared to be a queen, a bit larger with darker head on the top left corner. With the ants, there were a few Cyphoderus albinus, a species of white springtail which is often found inside ants nests. 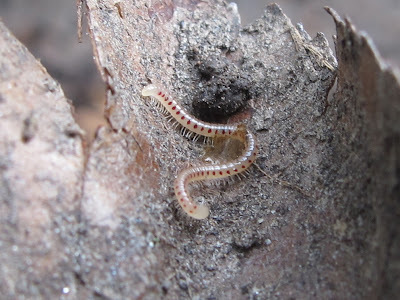 There were also many millipedes, thread-like, blind, with red spots, Blaniulus guttulatus. Haven't come across such a millipede. Looks very pretty. They are really tiny, but the colour in the spots is incredible. 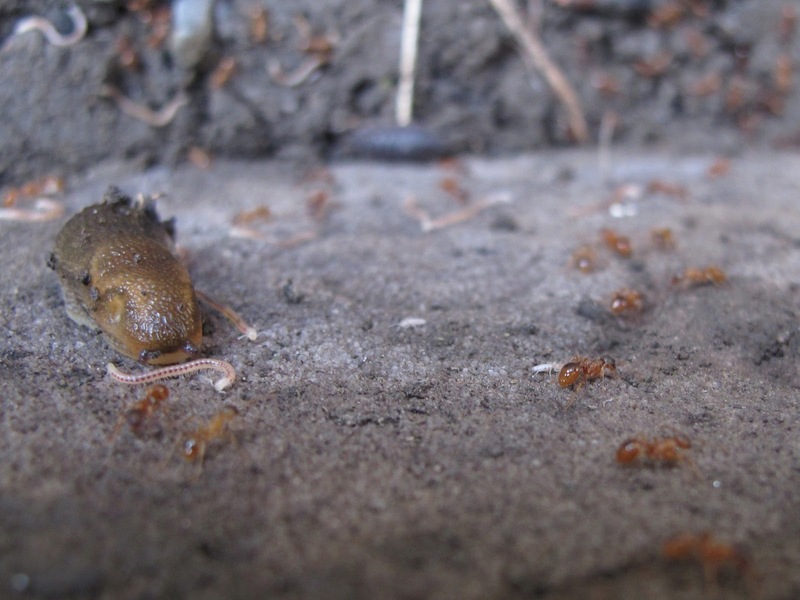 I actually didn't see that there were many in the ant's nest until I checked the photos. That's a great find and very nice photos! I've only found Lasius niger and Lasius flavus nests near me. I agree that the dark headed one at the top left looks to be the queen, she's got a nicely developed thorax for wing muscles. 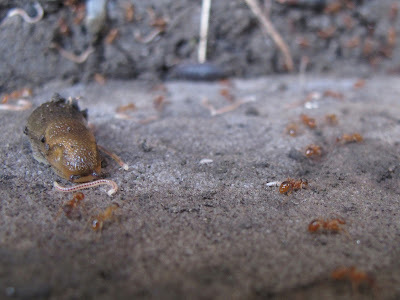 Thank you Daniel, I had only seen Lasius niger in my area, so I was pretty pleased. This is like being there and getting the sense of discovery myself. I enjoy your blog very much. I'm writing from Massachusetts, so the bugs in my area are mostly similar but not quite the same, except for those intrepid ones that sailed or flew across the Atlantic. Still, there's a wealth to be learned that applies to my bugs, too, and each has a beauty and grace of their own. Thank you!